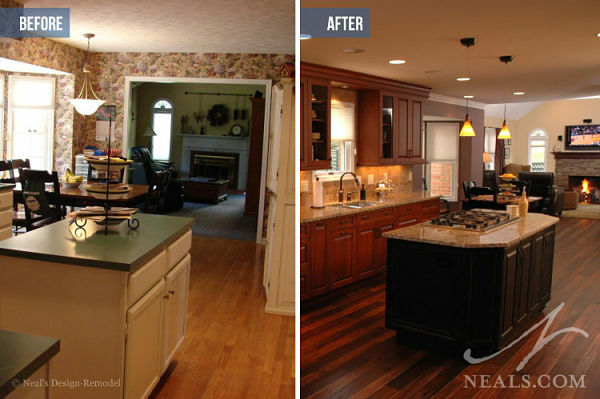 A successful kitchen remodeling project takes time to plan. The entire planning process can take one to several months while the construction phase can take two to four weeks for a minor kitchen remodel and five to 12 weeks for a major kitchen remodel. 1. Decide why you want to remodel. Many homeowners remodel simply to enjoy their home more. It is hard to put a dollar value on a home where you have raised a family or it is located in a neighborhood where you have close friends. This is the intrinsic value of a home. If you plan to live in the home for longer than five years, it may make sense to spend more on your project to meet your long-term needs. 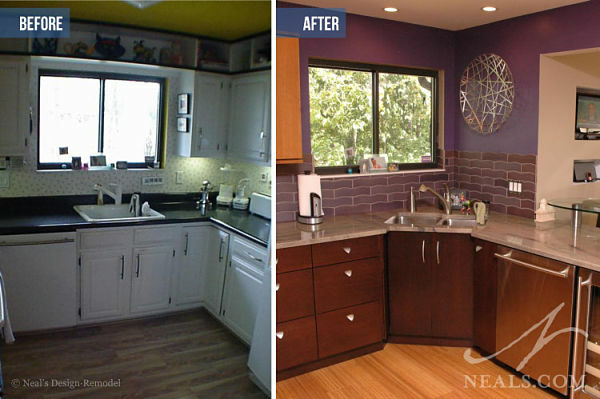 Other homeowners remodel to improve their home for resale. If you anticipate selling your home in the next five years, you may want to keep your costs below 15 percent of the current property value. Your remodeling decisions will be geared toward maximizing the return on your home investment. Consider recent home sales and look at comparable properties. You can find records of sales online at the Hamilton County Auditor’s website. 2. Do some preliminary research to determine how much you want to invest in your home. You may have come across articles about the cost of kitchen renovations and the amount that homeowners can expect to recoup at resale. One of the best resources with up-to-date cost information is Remodeling Magazine’s "2013 Cost vs. Value Report". The report lists the average cost of 35 home improvement projects in nine regions, 81 cities and for the nation. Cincinnati is one of the cities listed. In our market, costs can range from $15,000 to $30,000 for a minor kitchen update to more than $100,000 for a major upscale kitchen remodel. In reviewing the magazine’s cost data, please note this statement in the report: “… project costs are based on estimates for generic projects and do not account for personalized design and product choices typically made by homeowners in connection with actual remodeling projects, nor do they account for local and short-term fluctuations in pricing, supply and demand, and other factors affecting cost”. 3. Find the right contractor. Talk to friends who have had similar work done. They can tell you about their experience and provide names and contact information of contractors. Visit home shows. Talk to contractors. Look at portfolios of their work. Check websites of local contractors. Review credentials and look at photos of projects they have completed. If you're an Angie's List member, check their website for contractor reviews. Contact the Home Builders Association of Greater Cincinnati for a list of members. A reputable contractor will have a permanent business location, project portfolio, worker’s compensation and liability insurance, a list of references and be able to show you examples of work they’ve completed or work in progress. Look for contractors that have been in business for 10 years or longer. The contractor should provide you with a written estimate and a contract for the project. For your protection, always get a description of the work to be done and any changes in writing. The National Association of Home Builders (NAHB) has compiled a checklist for hiring a contractor and advises consumers to be cautious of unusually low bids. Look for a fair price. Don’t automatically accept the lowest bid. It maybe unrealistic or the contractor may be seeking an advantage over competitors that may later result in unexpected costs. Consider a contractor’s reputation, reliability, ability to communicate and willingness to stand behind the work. Choose the contractor you feel will give you the best overall value for your investment. 4. Hire a kitchen design professional. Kitchen renovation is a major investment and it pays to hire an experienced kitchen designer to work with your contractor to determine logistics, suggest materials and products and create a functional design that incorporates your personal style and budget. 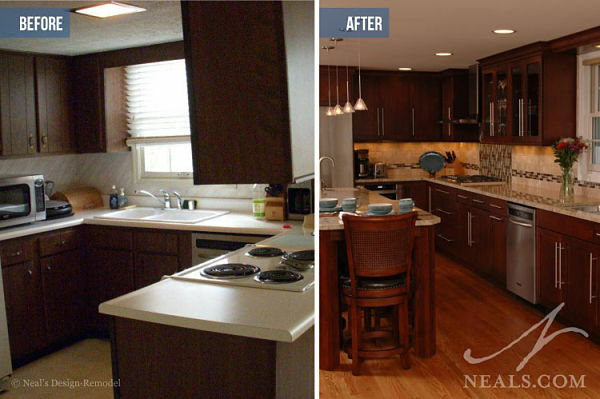 Design/build firms, such as Neal’s, make the process simple by having kitchen design professionals on staff. 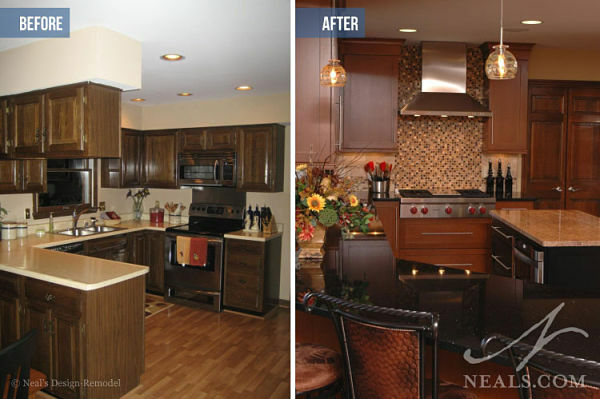 We have been remodeling kitchens for more than 40 years. We invite you to visit our showroom, attend a free kitchen planning seminar or set up an appointment for a complimentary initial in-home consultation to begin planning your kitchen remodeling project.